Source: Cagle, Jess and Dorothy Letterman. Home Cookin' With Dave's Mom (New York: Atria Books, 1996), 33. 01. Into an ice-filled tall glass, pour the wine and fresh lime juice; stir to mix well. 02. Add the carbonated beverage and stir gently. Garnish with lime wheel(s) and serve immediately. 1 Source: Cagle, Jess and Dorothy Letterman. 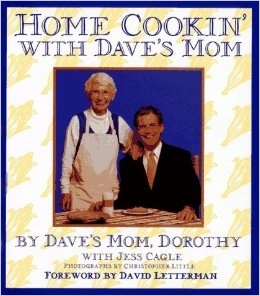 Home Cookin' With Dave's Mom (New York: Atria Books, 1996), 33.